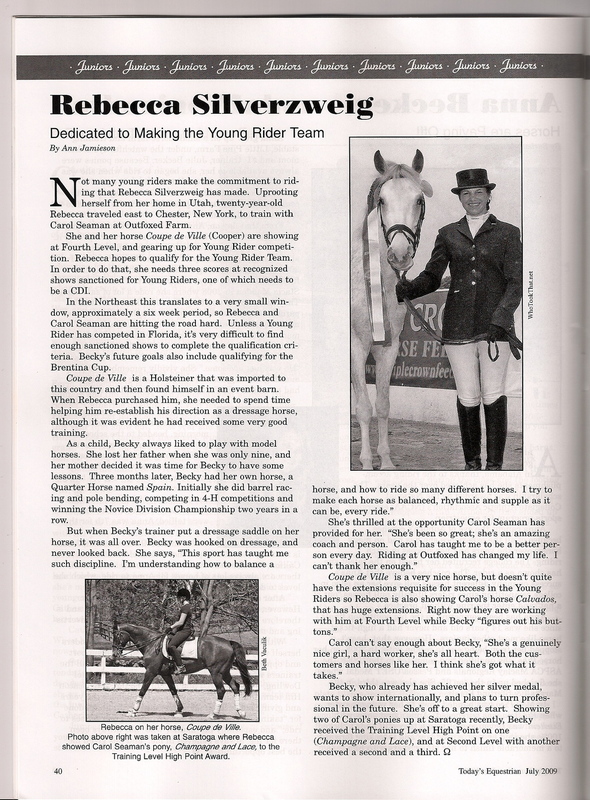 Outfoxed Farm is often featured in dressage magazines. Working Student Life -Learn if this educational opportunity is right for you. Dressage Today article about the Andreas Helgestrand Clinic.